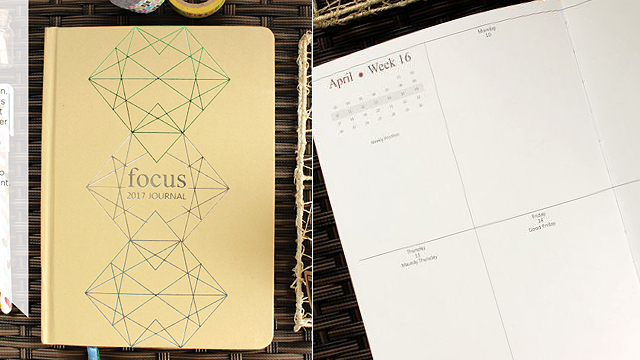 Ready to brave the EDSA traffic? 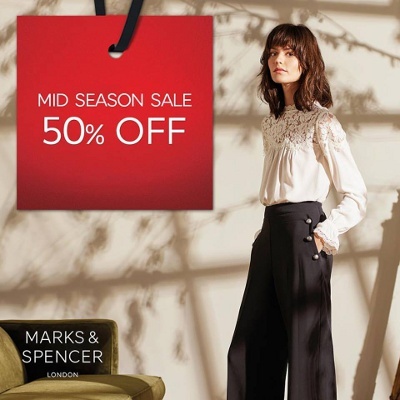 Uniqlo's big discounts will make the long drive worth it. 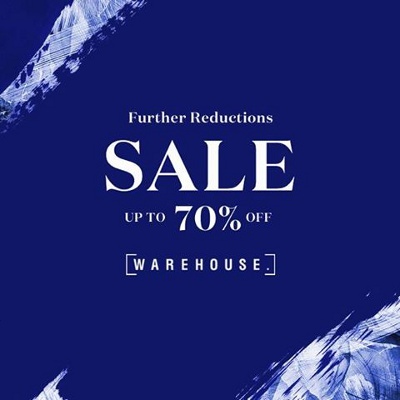 Sale runs this payday weekend only. 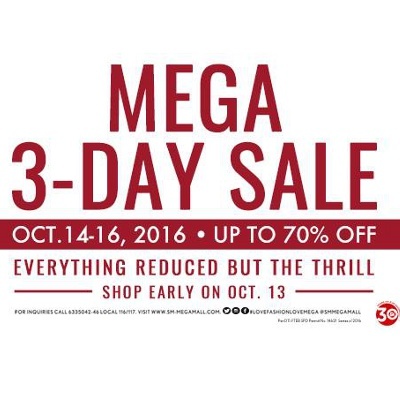 Ready your wallets and head to Forever 21's SM Megamall branch where you can score up to 70% off on chic finds. 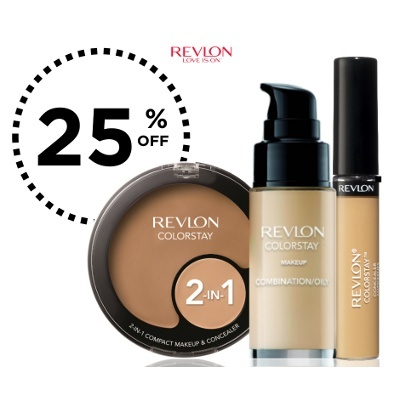 Sale runs from now through October 16 only. 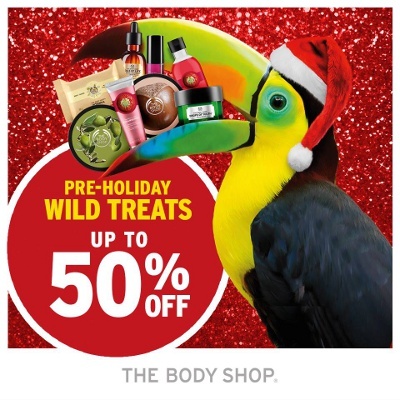 Get excited, beauty junkies! 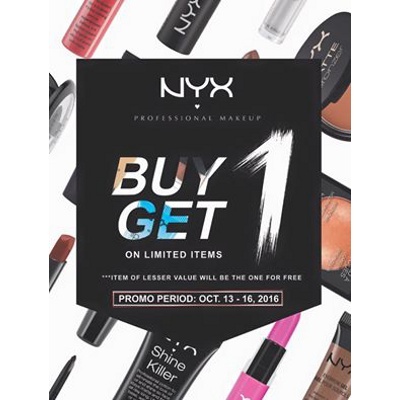 Avail of NYX's Buy 1 Get 1 Promo at their pop-up store in The Atrium, SM Megamall until October 16 only. 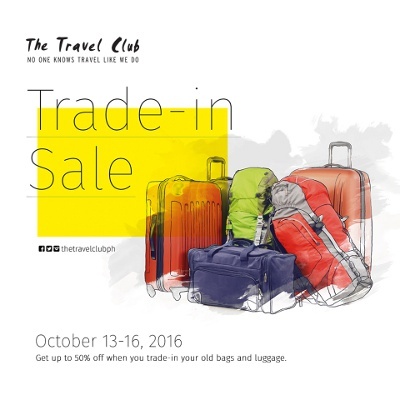 Dust off your old luggage and bags, and visit participating The Travel Club branches to trade your bags with a brand-new one at 50% off! 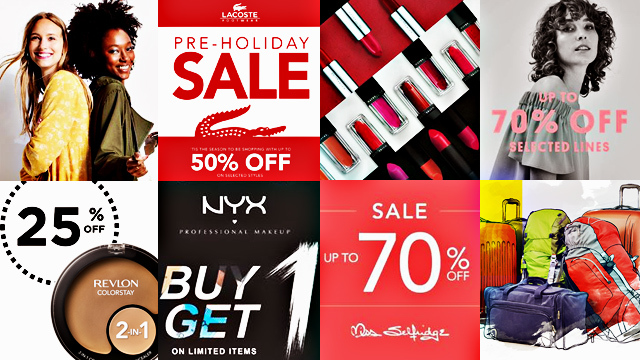 Enjoy up to 70% off mall-wide when you shop at SM Megamall this payday weekend. Just prepare yourself for the traffic! 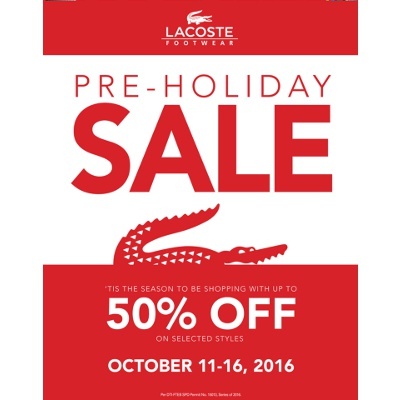 Drop by any Lacoste Footwear store nationwide to avail of up to 50% off on selected styles until October 16. 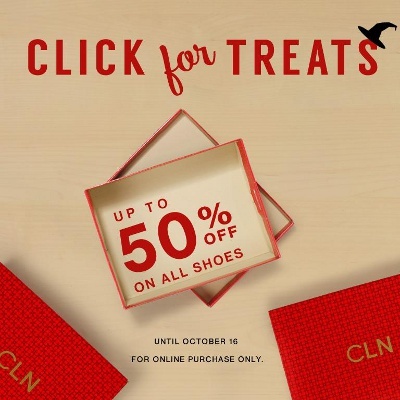 Visit CLN's official website this payday weekend, and get up to 50% off on all shoes when you shop online. 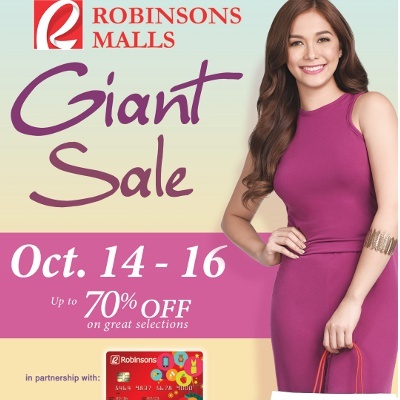 Get a headstart on your Christmas shopping at Robinsons Malls nationwide. 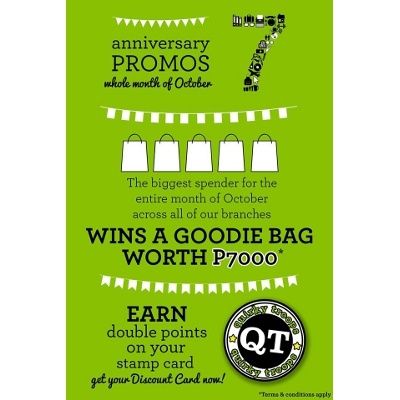 Sale runs until October 16 only. 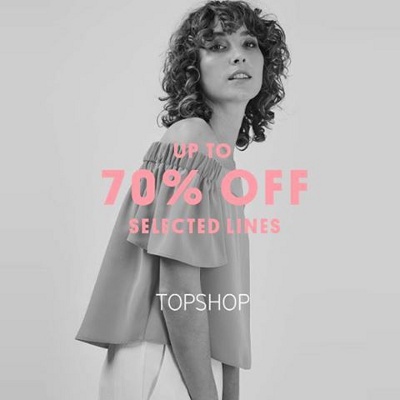 Score up to 70% off when you shop at any Topshop store from now through October 19. 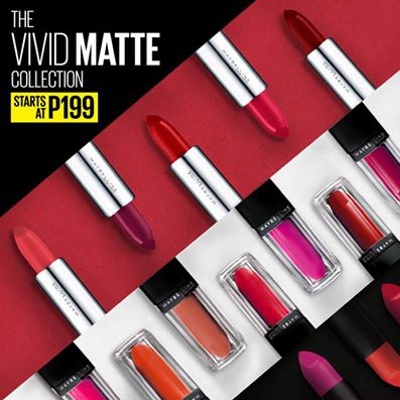 Maybelline is slashing P100 off their Vivid Matte lipsticks until October 19! Choose from 19 gorgeously pigmented shades. 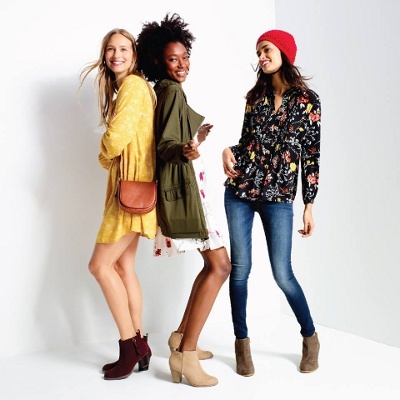 Ready, set, sale! 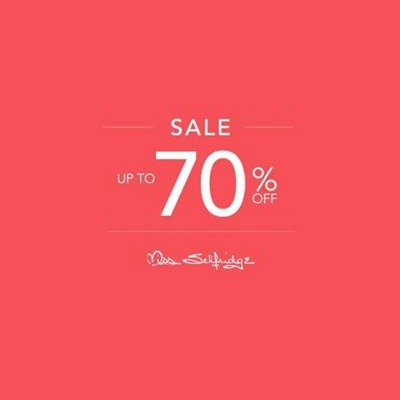 Get up to 70% off when you visit Miss Selfridge stores in Shangri-La Plaza, Greenbelt 5, and SM Megamall from now to October 19. 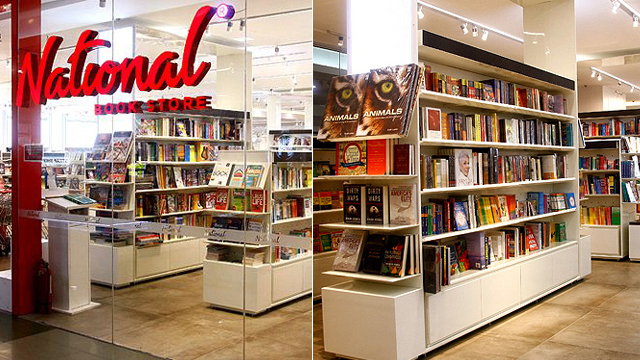 Time to get yourself some new reads. 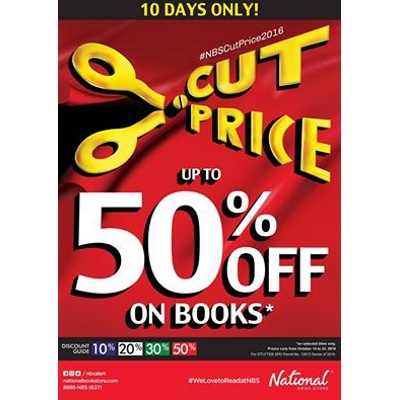 Get up to 50% off when you shop at National Book Store branches until October 23. 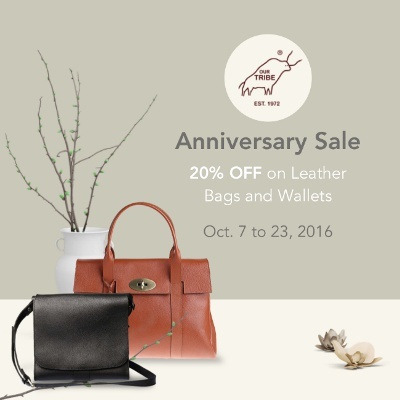 Celebrate Our Tribe's anniversary sale this month, and score up to 20% off on leather bags and wallets. 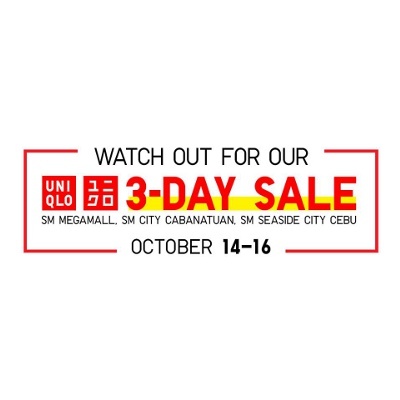 Sale runs until October 23 only.